SCEC remains concerned that the state government is pushing ahead with the establishment of a motorsports precinct, starting with an off-road motorcycling facility, within the Mooloolah Logging Area. This proposal has bypassed community consultation or due consideration of more suitable alternative sites. We need to act urgently to prevent the loss of biodiversity values and an important part of a key bio-regional corridor. Please sign the petition here. It's quick, easy and important! 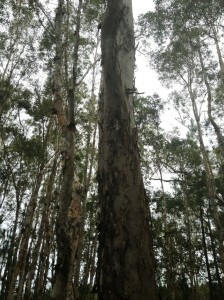 Queensland residents draws to the attention of the House our opposition to the proposed location for an ‘off-road motorcycling facility’ in the Mooloolah Logging Area (MLA), Beerwah State Forest due to unacceptable environmental, social and economic impacts. Concerns relate to a lack of transparency, no community consultation, environmental assessments or consideration of alternative sites. The area has significant ecological values including Matters of National Environmental Significance under the EPBC Act 1999 and Matters of State and Local Significance. Endangered and threatened species are present such as lowland subtropical rainforest, Richmond Birdwing Butterfly vines and its dependent Richmond Birdwing, Koalas and Wallum Sedge Frogs plus numerous others. • Significant noise and amenity impacts will be generated affecting residents, businesses and wildlife. The Mooloolah Cemetery and Ewen Maddock Dam are close by. • No justification for this facility has been demonstrated. Riding in Protected Areas (PA) may be an issue, however, many will continue to ride unregulated for free. Loss of conservation values in the MLA from direct and indirect impacts have not been evaluated against incremental impacts on PA’s. • Significant taxpayer funds have been allocated for apparent low return and limited benefit. This prioritised ‘need’ has not been demonstrated, particularly given a budget ‘crisis’. Your petitioners, therefore, request the House to oppose the facility and suspend the tender process on the stated grounds. Broad, transparent consultation, alternative site feasibility, robust environmental and related assessments and a cost benefit analysis must be undertaken at a minimum and made publicly available.